Your lock is is only as good as the object you lock it to. Make sure that you lock you bike to something solid that cannot be cut through or lifted. Always lock the most valuable part of your bike first, usually that means the frame and back wheel. Make sure to lock as tight of a fit as possible in order to maximize the difficulty for a thief to apply their tools to your lock. Position the lock with the key entry facing downward in order to maximize difficulty of trying to pick the lock. Lock your bike in high foot traffic areas that are well-lit to maximize the chances of bystanders seeing (or smelling) the theft occurring. 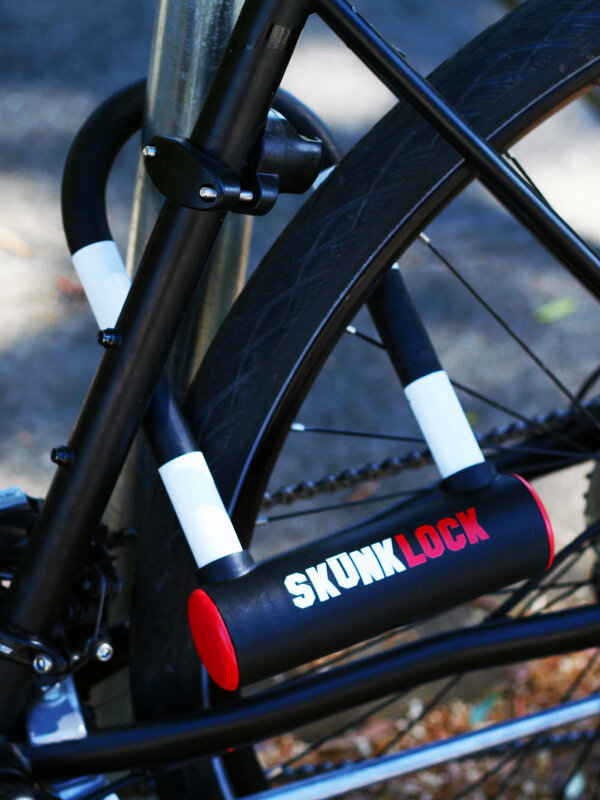 Use two locks when possible, although a thief may not be able to get through one lock, it may not stop them from taking off your front wheel if it’s unsecured! For more locking tips and information, we recommend reading this. Copyright © 2019 SkunkLock Inc. All rights reserved.